Multi-Menu Delivery: Multi-Menu delivery to Club Quarters guests and menus are available in the guest rooms. Rock solid location. 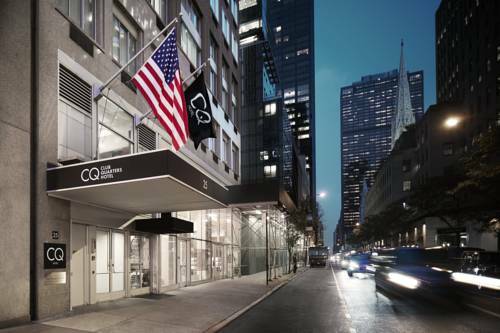 At the crossroads of Midtown Manhattan this CQ hotel is a launch pad for both business travelers and culture vultures that want the heart of the city at their fingertips. Wander boutiques and department stores on Fifth Avenue then check out attractions like Radio City Music Hall and Times Square. No FOMO here.